Credit cards have become such an ingrained part of our modern society that most of us don’t give them much thought. They are easy to use, widely accepted for making purchases, and as long as we pay at least the minimum amount owed when the bill comes due, they’re ours to use as we please. It’s a convenient way for us to buy things now and pay for them at a later time. Of course, this convenience isn’t free. Banks and other lending institutions issue credit cards to consumers as a type of revolving credit line (more on that in a bit). The banks make money by charging interest on the balance we carry on our cards, and in some cases, by charging fees. So with credit cards, the banks can lend us money without needing to be involved in every purchase. In this way, we as cardholders are able to borrow from the bank every time we use our card. Since banks earn their money by charging interest and fees on what they lend to us, it is in a consumer’s best interest to understand exactly how these things work. While very few of us has read all of the legal jargon and fine print within our credit card agreement, there are a few easy things we can understand that can help save us some money. The amount of interest charged by credit card issuers is almost always represented as APR, or Annual Percentage Rate. While this term might indicate interest calculated on a yearly basis, we all know credit card interest is not charged annually. In fact, a credit card’s APR is actually a representation of interest that is accumulated daily. Of course most cards have a grace period, usually around 25 days, during which time if you pay your balance in full, no interest will be charged. However, if you do carry a balance into your next credit card billing cycle, expect to pay interest that’s calculated on a daily basis. This means the interest you accrue during the previous month will actually be charged interest in this month too. That’s called compound interest, and it’s how many people end up paying a lot more in credit card costs than they expected. Fees are another way that banks and credit card issuers earn money. Late payments, balance transfers, exceeding your credit limit — all of these things will typically incur fees. And if you’re not careful, these fees can add up to even more than you pay in interest charges. This is why it is so important to make on-time payments, and if possible, to not carry a balance. Although almost all credit cards look and feel the same, there are different kinds of cards for different purposes. The Federal Trade Commission defines these card types in an excellent tutorial on the FTC website. A person’s credit history, credit score, and perceived creditworthiness by the banks will all help to determine the type of cards that are available. The vast majority of credit cards issued in the US are unsecured, meaning they don’t require a deposit or any collateral in order to get one. However, they do require a good or at least decent credit score. Here’s a detailed breakdown of the different types of cards and how they work. As the name implies, secured credit cards are cards that require a deposit be made into an account at the bank issuing the card. 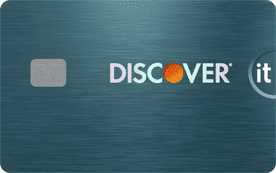 This deposit then becomes the credit line of the secured card. 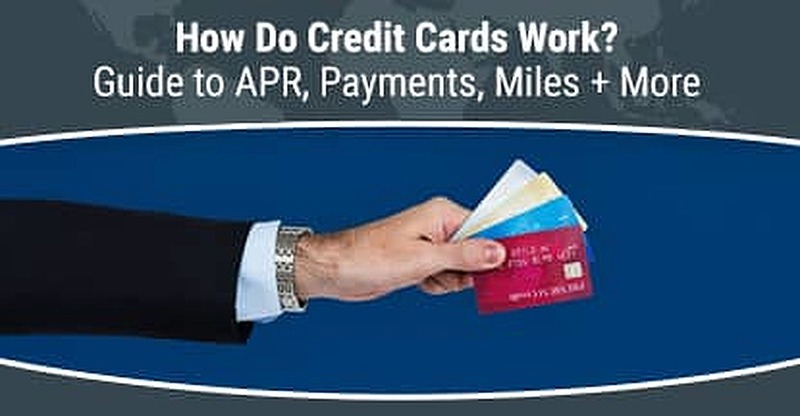 This type of credit card is intended to help build or rebuild credit, and is issued by banks to people who have poor credit or a limited credit history. A secured card works just like any other credit card, although typically they have a much lower credit limit (the deposit amount). One nice thing about a secured credit card is that payments and usage are reported to the three major credit bureaus just like a standard card, helping to build or rebuild credit for the user. If you’re interested in a secured card, we recommend visiting our secured credit card comparison before applying. 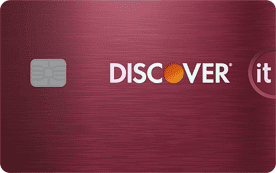 Card offers vary in terms of annual fee, APR, and other criteria. An unsecured card is what we all think of when we use the term credit card. It is true credit, meaning there is no deposit or collateral requirement in order to get one. These cards are issued based on a person’s credit score and perceived creditworthiness. An applicant with a higher score and better credit history will usually be offered better terms, a lower APR, and a higher credit limit. They also usually come with various perks such as cash back rewards, airline miles, bonus points, and other incentives. An unsecured credit card offers savvy holders the opportunity to earn extra rewards for purchases they would be making already. 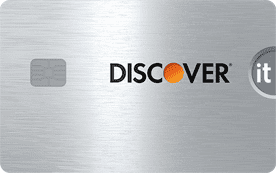 To obtain an unsecured credit card, apply directly with issuers like AmEx, Capital One, Chase, and Discover. Each is known to offer unsecured credit cards with top-notch perks to applicants with good-to-excellent credit ratings. Debit cards may look similar to a credit card, but they are a very different animal. For one thing, a debit card is tied to a banking or investment account and draws money from that account. There is no credit involved since the banks are simply processing a withdrawal of your own funds. As such, there is no reporting to the credit agencies and no impact on credit scores. However, debit cards can be used almost anywhere a credit card is accepted. As long as you don’t overdraw the account associated with your debit card, this is an inexpensive way to use plastic instead of cash. To open a debit card, you’d simply visit your local bank branch or your bank’s website to request one. Prepaid cards are similar to secured cards, in that they use your own money rather than borrowing from a bank. 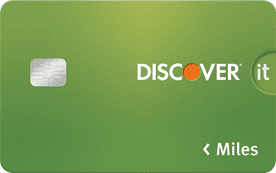 They’re also similar to debit cards, although they don’t pull from a bank account. In fact, prepaid cards may seem similar, but they really are different than either of those two. First, unlike secured cards, prepaid card use isn’t reported to the credit bureaus. 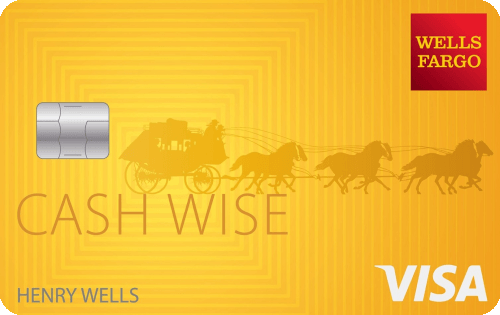 And unlike debit cards, a prepaid card isn’t backed by a bank account. 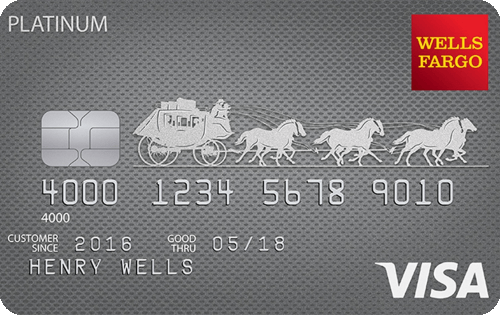 Prepaid cards can be purchased at retail locations, at your local bank, or even online. They can also be “reloaded” with cash at many locations. One thing to be aware of with prepaid cards is the fees they charge, including transaction fees, activation fees, cash withdrawal fees, and more. Be sure to check our prepaid credit card comparison to review these fees before applying. Frequent flyers and business travelers can take advantage of a wide range of credit cards aimed directly at rewarding their patronage. How these cards work is by offering points toward air travel, usually at a 1:1 ratio, for every dollar spent on the card. Often you’ll find 2:1 and 3:1 air mile rewards for certain purchases or expenditures. There are also signup bonuses that can offer up to 50,000 bonus points or more if you spend a minimum amount during the initial signup period. Points can then be converted for travel vouchers. Travel and air mile cards are not to be confused with frequent flyer programs, as these are usually offered by a specific airline. Credit cards that offer cash back rewards are aimed at people who may use credit cards for everyday purchases, and who seldom carry a balance from month to month. That’s because cash back rewards are usually paid at a 1% rate, meaning if you carry a balance, it will outweigh what cash is coming back to you. Certain purchases — like for gas, groceries, or specific categories of items — can earn two, three, or even five times the points under certain conditions. Be careful, however, that you don’t waste that cash back by carrying a balance, or by spending on things you don’t need just to get reward points. 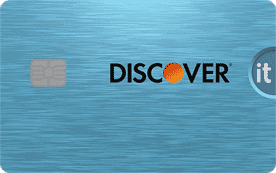 Balance transfer credit cards are meant to help people pay off an existing card by putting the balance on a new card. Sounds great, right? Well, yes and no. The new balance transfer card will likely have a low, or even 0% interest rate for a set period of time. However, a balance transfer fee of around 3% may need to be paid up front, adding to what you owe… meaning that you’ve just increased your debt. But, if you’re diligent about making your monthly payment, and not using the card for new purchases, it can mean big savings in interest charges. Credit cards that offer a 0% introductory APR rate can be a great way to save some money on interest charges. However, there are some precautions to keep in mind when choosing these cards. The first is that your 0% intro rate will eventually end, leaving you with a potentially high APR after that. But for large one-time purchases, this can be a great way to spread out the payments, and get a no-interest loan — as long as you have the proper discipline to pay it off on time. Be aware that with these types of cards, the intro rate can be revoked for making even one late payment, so always pay your bill on time! Points and gifts credit cards offer rewards in the form of redeemable points for a variety of cool products. These cards are meant for folks who don’t have a specific type of incentive goal, but who want to leverage their card use just the same. Points can be redeemed for travel or for gifts found in the issuer’s catalog, exchanged for gift cards, or even be turned into cash. As with other cards though, take care not to overspend just to maximize your reward points; i.e. spending a dollar to earn a penny. Doing so only defeats the purpose of earning a reward. Business credit cards are specifically designed for small business owners and offer benefits that these hard-working entrepreneurs need. Some of these perks include more flexible payment plans, larger credit limits, incentive programs that are geared toward small business spending, and more. It’s important to be aware that business credit cards aren’t included under the Credit CARD Act of 2009, and therefore don’t offer the same protections. However, many small businesses will benefit from the more personal and closer business services relationship with their bank. A student credit card is specifically designed to help college-aged students and recent grads establish good credit and develop good spending habits. Many student cards offer more flexibility in making payments, more choices in rewards programs, and even offer online tools to help students manage their spending and budgets. In addition, credit requirements for student cards are often less stringent than those for other cards. If you’re serious about maximizing the reward points for each of the cards you carry, it can be pretty tough to do on your own. Remembering which of your cards is offering the best cash back rewards for which purchase type can be daunting. Then you have to remember where you are in the billing cycle for each card. Not to mention managing current APR rates and zero-interest expiration dates. It’s enough to make you switch to cash. Wallaby : This app for Android and iPhone will help save you money by telling you which card to use when. You simply tell it what cards you carry, and Wallaby will tell you the best card to use for each online or offline purchase you make. It can also tell you about your upcoming payments, any expiring points, and the maximum rewards points available with each of your cards. Reward Summit: This is another app that tracks your credit card reward programs, and tells you the best card to use to make a purchase. It is completely secure and keeps your information private, and it’s easy to use. It will also generate reports on your rewards usage and can compare your rewards prowess with that of other Reward Summit users. Smorecard: This free app for Android and iPhone promises to help you get the most out of your credit card programs. It uses a real-time GPS locater to help you get the best pricing based on where you are and then tells you the best card to use. Smorecard tracks changes to your reward programs, as well as your usage. It doesn’t retain your personal card information, so you don’t have to worry about it getting hacked and stolen. We always say education is a consumer’s best weapon, and the best way to optimize your credit card usage. Now that you know more about how credit card APRs, types, reward programs and incentives work, you’re on your way to becoming a more effective credit card user. You can be among the minority of credit card users who actually take full advantage of what the card issuers offer, while being sure to maintain thoughtful and responsible spending habits.